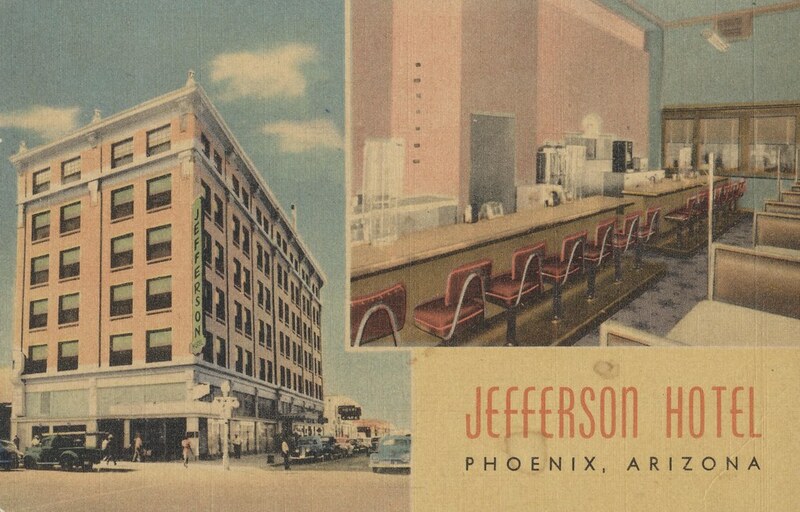 Jefferson hotel with its six floors of hospitality is situated in the "Valley of the Sun" cooled by refrigeration. A.S. Ackel, Manager. Phone 35141. Dear Sister it has been a long time since I have had world from you. I really think I wrote you last but that makes no difference. I love to hear how all of you are, has Howard left? I have written them 2 letters – no ans. How is Merel and family and Earl and do you feel pretty good. Zoe I hope so I am nursing. Love to all Emma. From Flickr: “Betty Grable” by Truus, Bob & Jan too!